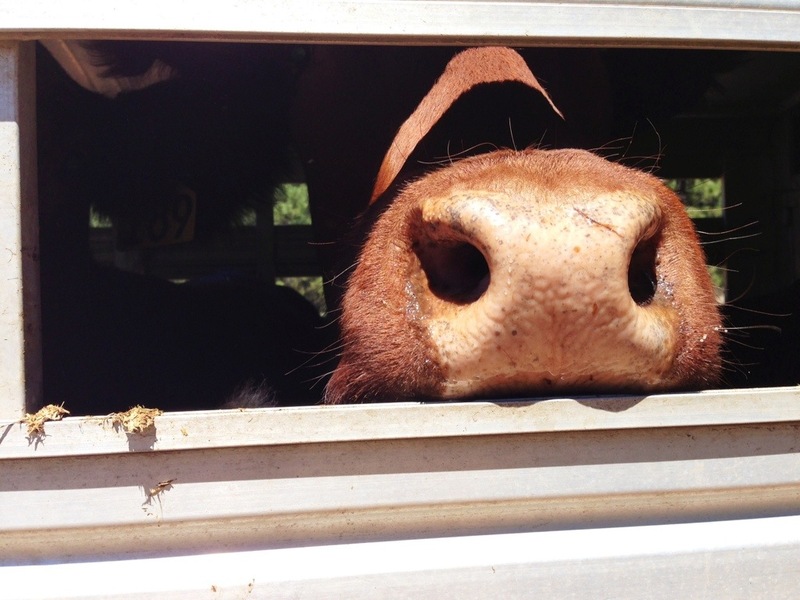 This mama cow is ready to unload from the trailer! We hauled her and her calf to a new meadow where the rest of the pairs are grazing for the next few weeks. She was spending a little time by the barn while we doctored her calf for pink-eye. He’s now fully recovered and it’s time for them to join the rest of the herd.